Post graduate course Design of analog electronics-1 at the HIGH TECH INSTITUTE. Post graduate course Analog IC design at the HIGH TECH INSTITUTE. Author has more than 35 years of experience in analog design and post graduate design education. Free MATLAB®-based simulation tool for setting up and solving design equations for analog circuits. 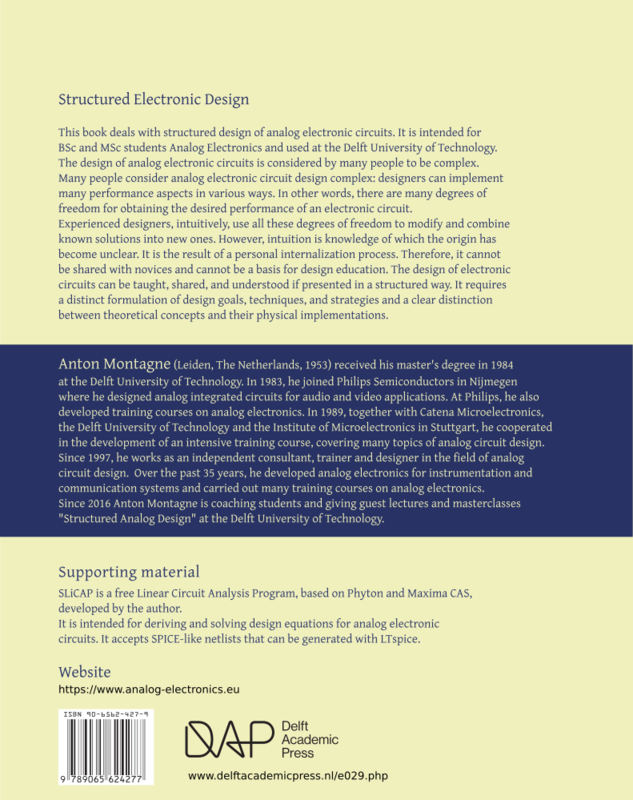 Used at all courses about Structured Electronic Design. Here, you can find information about: - SLiCAP, a FREE Symbolic Linear Circuit Analysis Program written in MATLAB® and its Symbolic Toolbox. 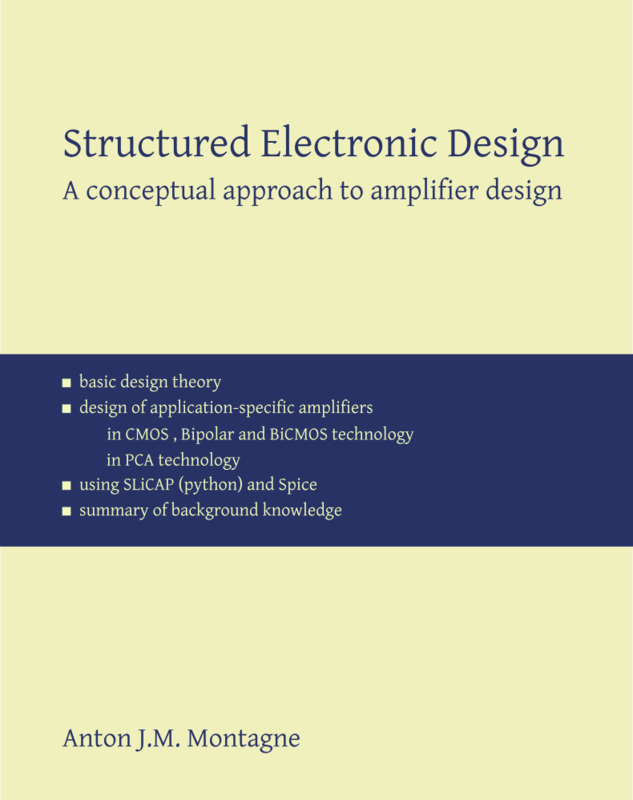 In the weblog you will find posts with examples, tutorials and exercises about the book Structured Electronic Design and the symbolic network simulator SLiCAP. These posts are organized in categories and sorted by tags. You will find them on the Site menu. Contact information can be found at: montagne.nl.